The zBoost dual YX545 & YX550-VLTE-AWS kit has been discontinued and replaced by the new and improved Wilson 460101 DT4G. The zBoost dual YX545 & YX550-VLTE-AWS kit is a quad-band signal boosting system that will amplify the signals used by all major carrier's 2G and 3G networks in North America plus Verizon's lightning fast 4G LTE network and all networks using the AWS frequency including T-Mobile's 3G and 4G network, MetroPCS, and Cricket Wireless. 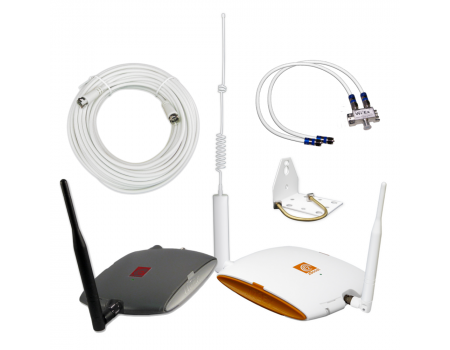 This system will cover an area of up to 1500 to 2500 sq ft depending on existing signal strength and the installation method (see the installation instructions section for more information). Verizon's new 4G LTE network is incredibly fast and makes browsing the Internet much more enjoyable where available. However, 4G LTE is only currently used for data connections and not phone calls. 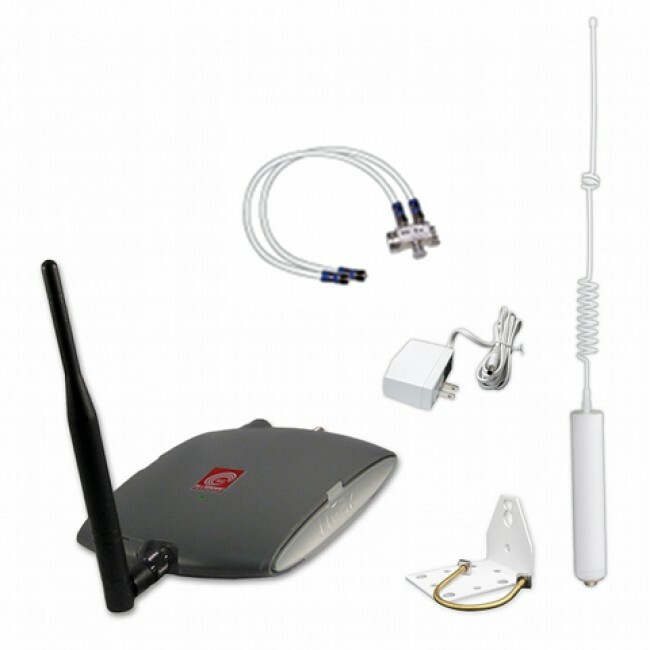 With this dual-amplifier kit, you can boost both the Verizon 4G LTE signal for maximum Internet speeds while also boosting Verizon's 3G network so you get clear conversations with no dropped calls. 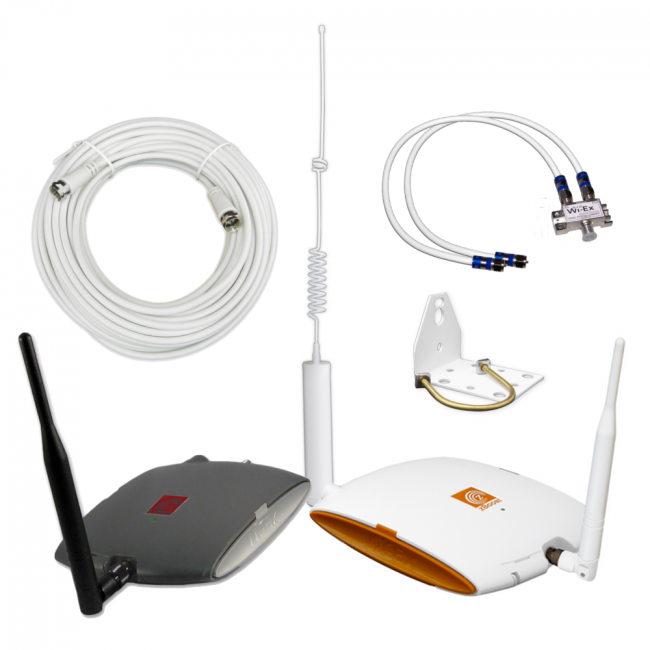 The zBoost dual YX545 & YX550-VLTE-AWS kit has two installation methods using either one or two outside antennas. 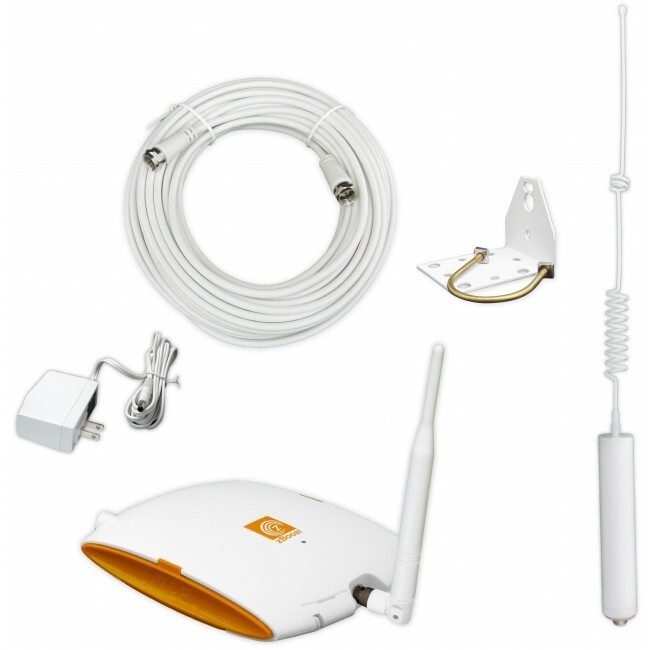 Using a single outside antenna makes installation easier, but will result in a signal that is half as strong being fed into each amplifier, so it it not recommended in situations with a weak existing signal. Using a single outside antenna will give you up to 1500 sq ft of coverage area inside, depending on the existing outside signal strength.